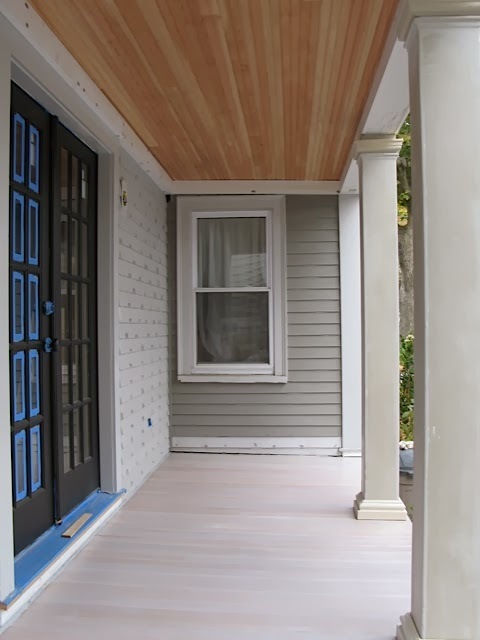 An Urban Cottage is a blog, started in 2010, by a man that purchased an 1842 Greek Revival cottage in Boston and decide to renovate it. The blog takes us thought the journey as it is being renovated and furnished. I wish I knew about this blog when I took my Materials and Methods course! Everything is posted on this blog -- from wall details to the techniques that he used to stain his floor, and the choice of lighting for the home. Because of the detail that he posted, when you read his blog, you feel like you are part of the experience. The posts demonstrate his passion for the house and reviving it. One of my favorite posts is about a time capsule that he buried in the foundation. 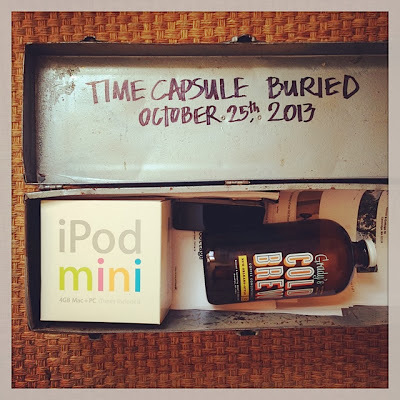 He put an iPod mini, a blueprint of the house with the work that he did, a bottle of cold brewed coffee, and several other items inside the capsule. By reading this post, readers can start to see how important the house is to him. Burying a time capsule with pictures and blueprints of the 1840 Greek cottage is a powerful statement. A time capsule usually contains valuable memories in your life or significant items of the time, and he specifically chose the blueprints to be one of the items to bury. Another post that fascinated me is when he talked about renewing his porch. In the post he talks about how he wanted to maintain the Greek style of the cottage and did not want railings in between the columns. I find myself learning more and more with each post. 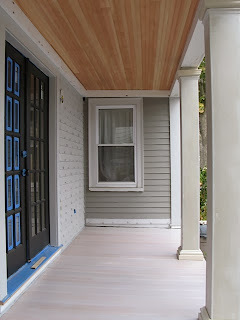 For instance, I did not know that any porch that is less than 29 inches off the ground, does not required railing. If you bleach wood, in order to make the bleach neutral, you need to apply baking soda to it. All of the things that he learned while renovating the home are things that can and will come useful when when doing your own home projects. I suggest checking out An Urban Cottage to get inspiration for your home projects, to learn more about Greek Revival homes, and to gain insight into historic preservation and restoration.